Online ordering menu for Reiki Sushi & Asian Bistro. 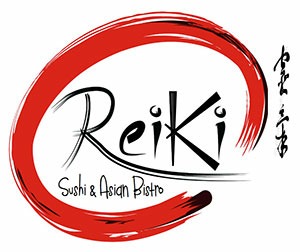 Reiki Sushi & Asian Bistro is more than just a great sushi bar with amazing Japanese dishes, this place is a mecca for sushi connoisseurs and Pan Asian lovers alike. Specialties include everything from Thai to Chinese, Japanese and Malaysian. There’s something for everyone’s palate. The restaurant has a bar where fresh sushi is made from scratch and prepared to customers’ specifications! The menu, which features modern fusion cuisine, has been tested and refined to implement globally current offerings with only the freshest seafood and meats, infused with delicate flavors and spices. In other words, we takes our food very serious! Order online for carryout or delivery today! We are located on Danbury Rd and Cricket Ln, right next to Norwalk River and Old Ridgefield Rd Open Space. We hope to see you there and invite you to dive into the exquisite culinary experiences of the Far Eastern world.